1000mm wide x 700mm height. 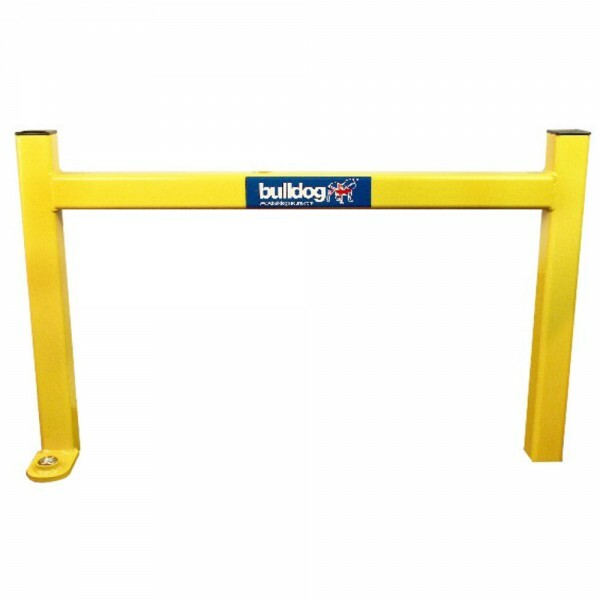 The Bulldog SA6 Ram Barrier has been designed to limit vehicular access to areas of property without the inconvenience of a permanent fixture. Utilising Bulldog's Super Lock Bolt it is easy and quick to install and remove. Ground preparation for the removable Ram Barrier requires only two holes and can be accomplished in under an hour. Complete with cover plates for use when the barrier is not in place. Removable protection against ram raiders. Heavy duty 5mm thick, 70mm square hollow section steel. No protrusions when barrier removed. Locked in place with Bulldog Super Lock Bolt with over one million possible key combinations. 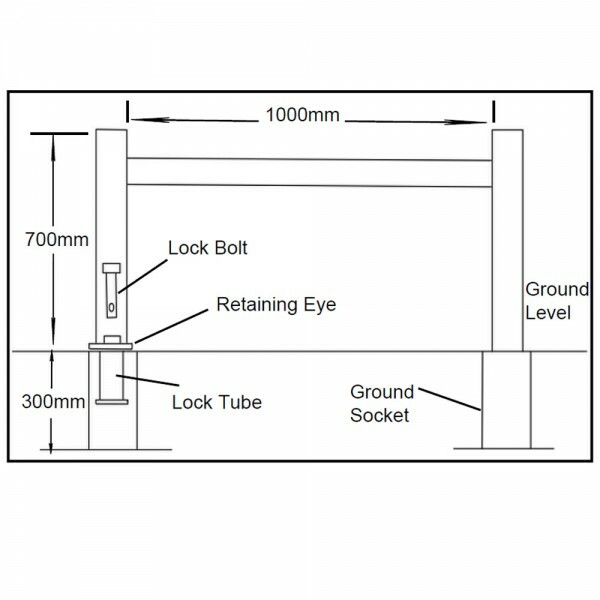 Removable Lock Bolt locks into a ground lock tube. British manufactured and sold with Bulldog 5 year Guarantee. Included is 1 barrier, 2 ground sockets, 1 lock bolt, 1 ground lock tube, 2 ground socket covers, 1 lock dust cover.